Today the prosecution filed a complaint, docket number 472, complaining about defense attorney’ Eduardo Balarezo’s tweets, and the facial expression by defense attorney Ms. Mariel Colon-Miro, during her Spanish language interview with Telemundo. She was describing the difficulties Chapo is experiencing with no contact consultations or visitations, even with his attorneys. She apparently used a “forlorn expression” while speaking about the emotional hardship of these special measures and how he misses his family. Sure, probably not a great idea to vent on twitter, and I myself said that Balarezo reminds me of his nemesis Trump, his favorite target, but is it wrong? I don’t recall Judge Cogan saying it was. And his tweets have no negative impact on the case, or the jury that I can see. As for Colon-Miro's, forlorn expressions, that would sort of be expected, when speaking of forlorn issues and circumstance, a reasonable person would figure as much. And maybe that is the real issue. This prosecution has created a circus. They are never satisfied, they have been awarded with just about everything they have asked for, and they have the defendant living in isolation, using the controversial SAMS approved [special administrative measure], created for terrorists after 911. They have everything they need to put 50 Chapo’s away. But that isn’t enough. It will never be enough. And yeah, Chapo was a bad guy that did bad things. But I feel cheated. I feel cheated when I see a La Barbie, who brought executions on video to the public, and Chupeta who killed at least 300 many himself, who even killed small children and an entire family of 35 innocents. I feel cheated that my government made these deals with too many monsters, when they did not have to. Not at that level, not at that quantity. Why? I am guessing to demonstrate to the public how well our tax dollars are being spent in a drug war they will say they are winning by these convictions. And speaking abut tax dollars, my brain still can’t wrap itself around the 43k given to Miguel Martinez to travel to NYC for the trial. In reality the drug war was lost the day it began. Below is the letter filed today. Notice how they draw his face with a sort of snout to make him look like dog human hybrid lol. Yes lots of evidence 526, he wont get off Chapo lover sorry to break the news, what I know is he will get lots of time in prison. Chivis, thank you for kepping heart. Me, i've been jaded for a long time so i dont expect much from my govt. Be sure that t is common knowledge among narco's that snitching will get one time off, they aren't stupid, just incredibly manipulative and good at it. Our govt is way behind the curve in my opinion, and they are being laughed at for sure by these narcos for making these foolish deals. Yes. Chivis is really telling the truth here. The whole WoD is a sham to serve this countriy's elites political and economic purposes. May I ask why? I'm sure it's obvious but assuming you're there, you know exactly why..
Lol, 43k to go to nyc and you guys are complaining about that? that is nothing. In canada they payed a witness 1million dollars to testify against an organized crime group here. this was just for a nyc trip to testify. I recall the 1M...you can imagine how that sat with me..
Mexico may one day thank this guy. He knows he can't free Chapo. 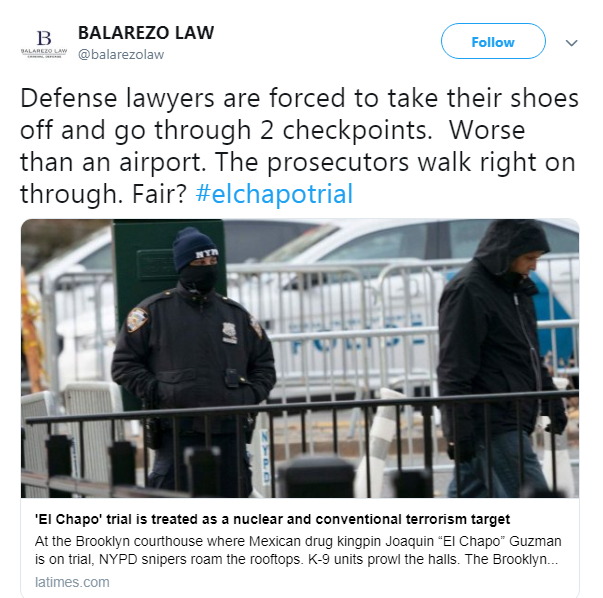 He knows, and Chapo knows...he is putting the Mex gov on trial....maybe this is Chapos way of trying to get to heaven, by indirectly exposing the complicit govs on both sides. I’m with you Chivis! Prosecutors make many deals with monsters to bring down bigger monsters and ensure that their case is tight. It is sad that the small-time violators have nothing to offer our prosecutors because they are so far down the chain. They deserve the deals more than anyone. It’s the upper level scumbags that have something to offer and they get the breaks. Or, in the case of the Southern District of California, everyone cooperates, get a sweet deal and no one goes to trial. At least NY is bringing it all out publically so the world can see what scum these traffickers really are and how stupid the US is to be the number 1 consumers of their drugs responsible for death in both countries. 6:33. Interesting about Southern District California and many good points about shining lights on the full problem - thank you. I am annoyed by posts that read “as I always said” but I will do what I don’t like this one and last time (jajaja). As I have writed many times, Guzman has been the US figurehead and propaganda target for war against drugs. Guzman and AFO did the first of many high public attacks and when Cardinal Posadas Ocampo was killed it put Guzman and AFO at new level of USA and Mexico targets. When arrested Guzman paid bribes and grew his business in prison. Then the escape before extradition forever secured his spot as propaganda head for war on drugs. There are people in Venezuela, Brazil, Peru, Columbia and probably NY, Toronto, Rotterdam, Israel with more money and long success in suppling drugs but USA must have a propoganda head, and Mexico needs scapegoat. CDM...I thought you had a question on this thread about mx press coverage. I may of accidentally deleted it. I thought it was a good question. So typically the Mx Press doesn't defend or complaint about court procedures or treatment of defendants. But it is noticeably different in the case of El Chapo. I think because the process has been so atypical and at a glance it appears as though his rights have been ignored. And I would agree. I do not think severe SAMS should be imposed for drug traffickers. They should be reserved for which they were created, for terrorists such as the 911 group of scum. it was within weeks after 911 that SAMS was created and specifically for those cases. The danger is the slippery slope. Terrorists can be shipped to Guantanamo and then problem solved. what mex press cannot understand is how chapo or anyone can not be allowed to have a private conversation with his attys. he cannot communicate with anyone. He was not allowed to give his side of the story thru the press. The evidence is massive. Some restrictions I get. Some I am still shaking my head, and that's after studying the SAMS issue for months. It is very controversial worldwide. people feel that the right to a fair trial, given to every defendant, even the worse of worst monsters, has not been given in these cases. And if one believes in the process, holds strong to the constitution and wants no one playing games with any defendant that obstructs his rights, then one should not support these measures, as been ordered. 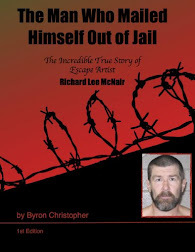 They have held his prison escapes against him. While overlooking the part where in Mexico it is not unlawful to escape or attempt an escape. Only those who assist can be charged. There are exceptions such as people being hurt in the escape process. Since it was not unlawful, and chapo escape believing it wasn't, how can it be held against him in another country? Those are the issues. mx press feel he is being treated unfairly and differently. Chapo betrayed everything and everyone. Excellent work chivis. It pisses me off also to see some of these deals. hey you are on stage chives. I saw a VICE tweet where you are given props for this article saying balarezo included it in the filing. and Vice says worth reading. My biggest problem with this trial is the huge waste of millions of taxpayer dollars! Days and days of testimony even though they already have enough evidence to put him away for life. I get it that every person deserves their day in court to defend oneself. But the money that's being spent on prosecuting this one man is ridiculous! 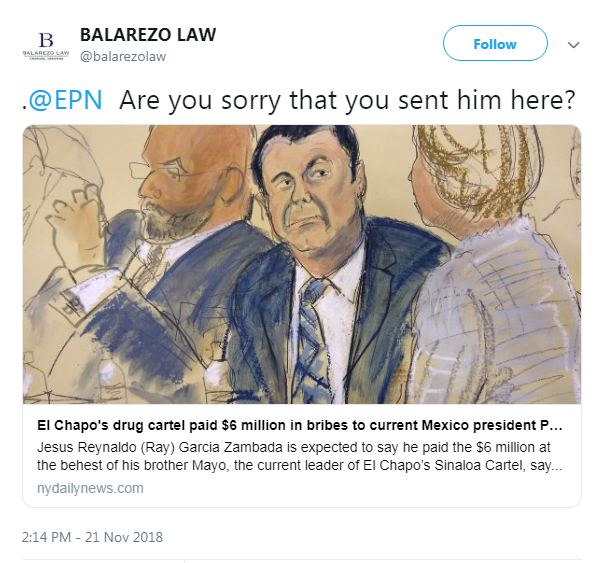 I would like to see a full accounting of the cost of the trial and the amount of drug money they confiscated from chapo to offset the taxpayer burden. Yeah,like that'll ever happen! Why do they draw Chapo's face with a snout? I am also disappointed in my government. Spending all this effort making a big show of a slam dunk case . They should be spending more time tracing assets. There is a lot more out there that could be taken . Even Emma should be subject to scrutiny . She is a U. S, citizen . Where does her money come from ? In Her lifetime , has she even tasted a morsel of food that was earned legitimately ? 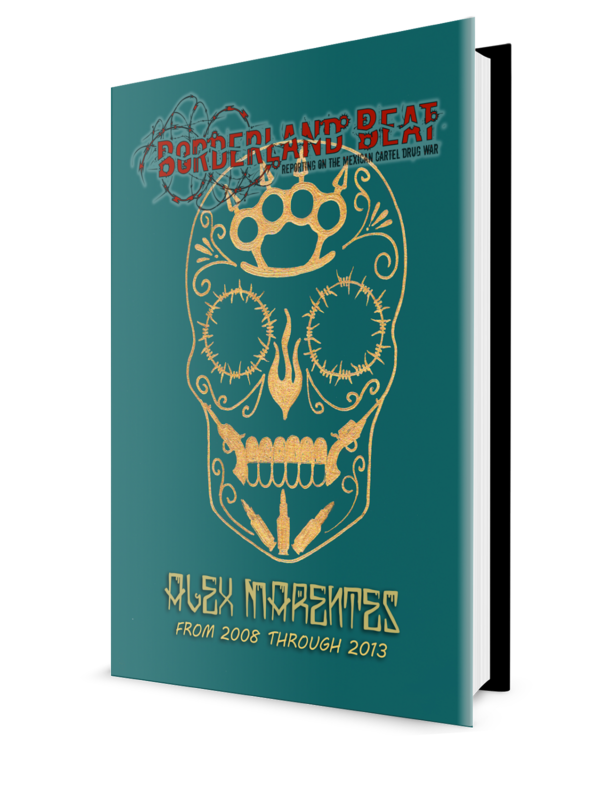 Chivis, as always great work...ive been reading borderland beat since 2009, keep it up! Yes. You are right that some CW's are bigger monster than those they finger.